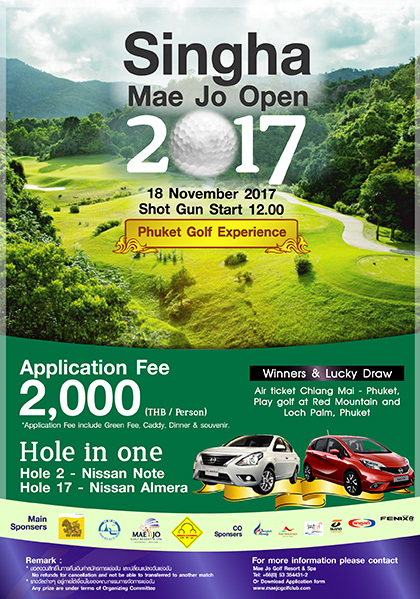 Come and Join Singha Mae Jo Open 2017 # Phuket Golf Experiences on November 18, 2017 Shot Gun Start: 12.00 AM. 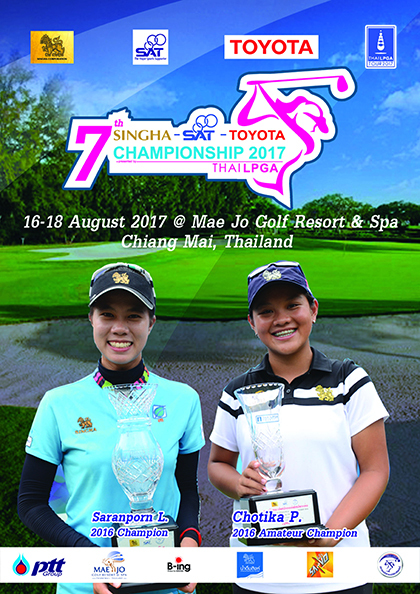 พลาดไม่ได้กับการแข่งขันกอล์ฟรายการ Singha Mae Jo Open 2017 # Phuket Golf Experiences ในวันเสาร์ที่ 18 พฤศจิกายน 2560 shot gun 12.00 น. 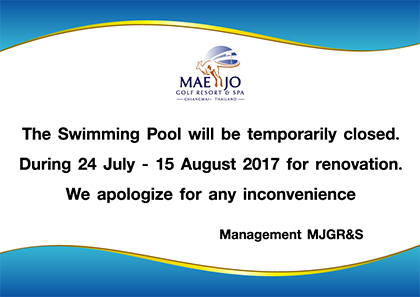 The swimming pool will be temporarily closed during 24 July - 15 August 2017 for renovation. We apologize for any convenience.